After years of success in the sports world, Luis tried his hand at acting. He’s known for his role in Fast Five, playing Diogo, a Brazilian racecar champion. Additional films include The Brave One, Pride and Glory, 21 Jump Street, American Heist, and Mr. Right. His television credits include Girls, Person of Interest, Graceland, Body of Proof, Law and Order: Criminal Intent, and Power. Watch his sizzle reel here. Art Edmonds is a TV Host, Spokesperson and Voiceover Talent with over 17 years of experience. He is currently best known as the co-host of the TV show “Military Makeover.” Edmonds, along with co-host R Lee Ermey (recently passed)give a complete home makeover to a deserving wounded U.S. Veteran. The show airs Nationally on Lifetime. Narrator for the Nat Geo Wild top rated series “Swamp Men” for three seasons, narrator of docu-drama series “Plane Xtreme”on The Weather Channel and narrator for Nat Geo Wild series “Dr. K’s Exotic Animal ER” seasons one and two. His voiceover credits also include National CBS,TLC, CNN, TBS, Weather Channel,and the “Upwave on HLN” show block promos as well as TV and radio commercials, including a National Proactiv + TV spot and as narrator of Ocean Mysteries Dolphin Tales, as well as voicing Dog Whisperer: Family Edition, Expedition Wild, and Outback Adventures with Tim Faulkner as part of Litton’s Weekend Adventure in National ABC and CW Network syndication. Edmonds is currently the daily Network image announcer for CBS affiliate WDBJ7 Roanoke. 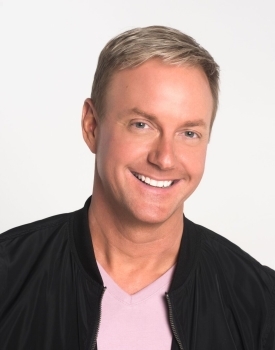 Edmonds has live TV experience as the Tampa Bay FL area spokesperson for 50 Floor, appearing on the Morning Blend and Great Day Tampa Bay, daily. He was also a guest on QVC, HSN,and The Shopping Channel Canada representing the ZeroWater filter pitcher and was the National TV spokesperson and voice for ZeroWater for four years. Edmonds is an excellent co-host and works well with other talent. He often co-hosts with his wife, professional spokesperson Michelle Edmonds, for TV and live events including cooking and travel show TV pilots for Food Network. Watch Edmonds’ sizzle reel here. Dan Gargan, a Philadelphia native and graduate of Georgetown University, started his professional soccer career in Major League Soccer (MLS) after being drafted by the Colorado Rapids in 2005. During his 12-year MLS career, Gargan made over 200 appearances with Colorado, Toronto FC, Chicago Fire, San Jose Earthquakes and LA Galaxy, where he won the 2014 MLS Cup. After retiring from professional soccer, Dan took a deeper interest in becoming a sports media personality. 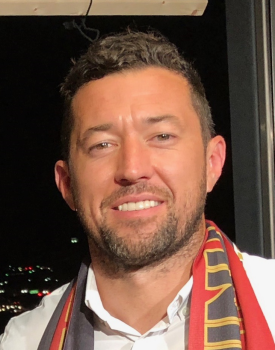 Gargan served as the broadcast analyst for the LA Galaxy in 2015 and 2016, before joining the Atlanta United broadcast team as a color analyst in 2017. Gargan will continue as a member of Atlanta’s broadcast team for the 2018 season. All games are televised by FOX Sports South and FOX Sports Southeast. Watch Gargan’s sizzle reel here. 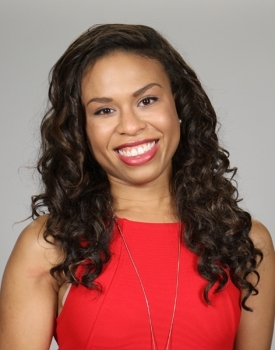 Arielle Hixson is a journalist, host, and producer and holds a versatile skill set as she has experience writing, producing, and hosting her own segments for a variety of renowned networks across the country. Currently, Hixson is an anchor and reporter at Channel One News, a national educational news network that broadcasts to six million students throughout the United States. Hixson has interviewed celebrities like Misty Copeland and Lin-Manuel Miranda, as well as travelled the world for compelling stories which include the 400th anniversary of Shakespeare in London, the European Referendum, climate change in California, and the 10th anniversary of Hurricane Katrina. Prior to working at Channel One, Hixson was an Associate Producer at NBC New York, where she wrote, shot, and produced daily news segments for evening news. She also produced in-studio segments with celebrities and edited fashion, beauty, and lifestyle packages for NBC New York Live. Additionally, Hixson has been published in numerous print and digital media corporations including NBC New York, NBC 4 Washington, The Huffington Post, AOL, and CosmoGirl. She has also edited content for ABC NewsOne, Fox 5, and HBO. While attending graduate school, she had the opportunity to work as the National Press Intern at the White House. Watch Hixson’s hosting reel here and her hard news reel here. Andrea Ocampo is a bilingual sports, entertainment, and lifestyle television host, as well as an accomplished speaker, author, and producer. She’s trailblazing the sports broadcasting industry and began making her impression on fans while with the NHL’s Florida Panthers, FAU football, and ESPN’s Boca Bowl. Ocampo has also been featured on ESPN and Fox Sports as both an anchor and a sideline reporter. Ocampo is also experienced within the world or entertainment and lifestyle hosting. She, along with Mickey Mouse, previously wrapped a travel series for the Walt Disney Company where Ocampo and the iconic character take viewers through activities available at the theme parks. Ocampo can also be seen on the Travel Channel’s “One Way Ticket” where she goes on an adventure through Greece. Other completed projects include: covering prestigious red carpet events, being featured as an entertainment expert on CNN en Español, Yahoo!, CBS4, Fusion, Univision, and more. Ocampo strives to inspire, encourage, and motivate with her online series “Morning Coffee.” The series aims to explore the everyday hustle, doubts, and questions people have on a daily basis. When’s she off-camera, Ocampo is a popular public speaker at colleges and social media conferences, her topics often focus on women and their ever-growing presence in the worlds of sports, multimedia, branding, and content creation. Watch Ocampo’s sizzle reel here. 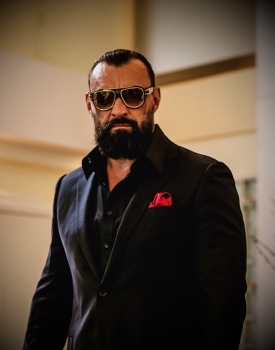 Oleg Prudius officially began his career as an entertainer in 2002 and one of his first projects was Spike Lee’s 2002 film 25th Hour in which he played a small role. The following year, Prudius appeared in multiple episodes of the HBO series The Wire. A year later, Prudius decided to combine his expertise in combat sports with his passion for entertaining and embarked on his journey as a professional wrestler. In December 2006, Prudius made an appearance as a World Wrestling Entertainment (WWE) prospect on Rawunder the name Vladimir Kozlov. The ring name stuck. Jake R. Robbins is a New York-based actor who works in film, theatre, and voiceover. 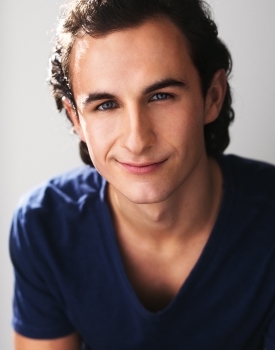 Jake recently graduated from New York University’s Tisch School of the Arts and is looking to jumpstart his career with IPZ. This spring, you can see Jake starring in a number of short films, such as Faceless, A Good Home, Merry Christmas from the Mancini’s, The Things We Do, and The Year of the Ox. You will also be able to see him in the web series Millennials in Real Life and Burn BREAK Bury. Recent New York theatre credits include MERCH GIRLS (Alchemical Studios), Machinal (Shellscrape Theatre Company), and Othello (The Classical Studio). Watch Jake’s sizzle reel here and listen to his audio demo reel here. You might recognize Brandhyze Stanley from her recurring role as reporter Grace Michaels on CBS’ “Blue Bloods.” A dynamic TV & Digital Host, Stanley was the creator and Host of “Frugal-nomics: The Art of Resourceful Living” serving as producer, writer, host, and editor of the talked about guide that showcases all the fun and affordable things to do, see, and eat in New York City while on a budget. As a Fashion & Style Expert for eHow.com, Stanely produced and hosted step-by-step “how to’s” and do-it-yourself projects, provided wardrobe advice, tips, and tricks for novices and fashionistas alike. Newsday tapped Stanley as their Fashion & Style Contributor where she researched, interviewed, and wrote content for fashion and style posts, features, and produced video segments. 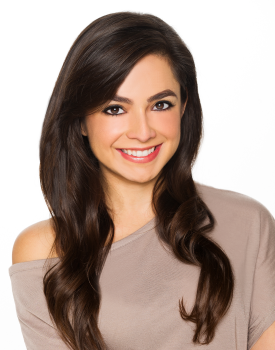 As Host & Producer at “Predicto.com” and “CelebritySquares.com,” Stanley hosted and produced weekly red carpet, celebrity-based pop culture and entertainment news from Tony and Peabody Awards to hot movie premieres, where she interviewed newsmakers & celebrities including Tina Fey, Anna Wintour (Vogue), Kim Kardashian and LeBron James just to name a few. 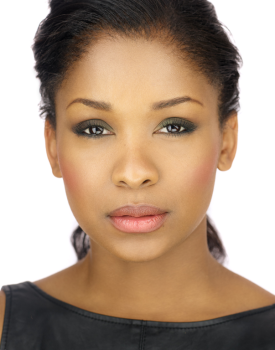 Watch Stanley’s hosting reel here and her acting reel here. 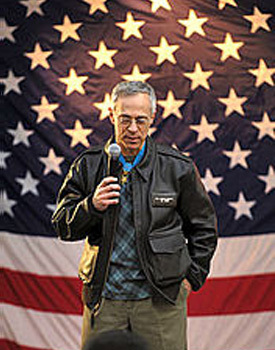 Col. Jacobs served multiple tours of duty in Vietnam and is one of the most highly decorated soldiers from that era. He was awarded three Bronze Stars, two Silver Stars, two Purple Hearts, and the Congressional Medal of Honor, the nation’s highest military decoration. His Colby Award-winning memoir, “If Not Now, When,” was published by Penguin in 2008. He currently holds the McDermott Chair of Humanities and Public Affairs at the U.S. Military Academy at West Point. Col. Jacobs was an on-air analyst for NBC News, where he was an Emmy nominee in 2010 and 2011 and a recipient of the 2011 Murrow Award for his work on the Nightly News segment “Iraq: The Long Way Out.” and continues to serve as a military analyst for NBC/MSNBC. He received both his B.A. and M.A. from Rutgers University where he studied international relations. 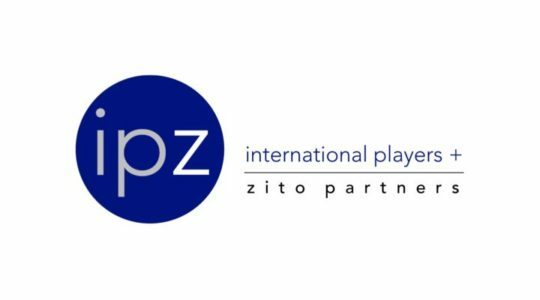 Patricia Stark joins IPZ as our Managing Director of Media + Entertainment and has a long standing reputation as a sought after Media Trainer, Public Speaking Trainer, and Certified Body Language Specialist. She appears regularly as a Guest TV Communication Expert & Lifestyle Expert and in demand keynote speaker. Her on-air experience includes anchoring live international news, national breaking news, medical news and entertainment programming. Patricia has also served as a contributor for the Huffington Post & the History Channel. Patricia works closely with networks, production companies, corporate media and individuals to prepare on-camera talent, TV guest experts & public speakers to trust their communication skills and instincts, and overcome obstacles of doubt and fear in any communication situation. Based in New York City, Patricia Stark Communications works with celebrities, CEOs, authors, news anchors, TV show hosts and other professionals whose careers rely on their ability to address an audience confidently. She is honored to have clients travel from New Zealand, Egypt, Dubai, Australia, England, Japan, Saudi Arabia, Denmark and Ireland to work with her for media training & public speaking training sessions. With over 20 years of first-hand experience, Patricia is one of the few trainers in the country who has worked extensively in front of the camera in both broadcast and corporate media. Patricia has appeared in over 2000 Fortune 500 corporate media productions in every sector of industry as a moderator, trainer, host and corporate spokesperson. She is a member of SAG/AFTRA and has appeared in numerous television commercials and programs and held a recurring role on Law & Order Criminal Intent. She is a Member of the National Speakers Association and the Forbes Coaches Council.